Besides that there are a lot of tanks, there are some more noteworthy things. 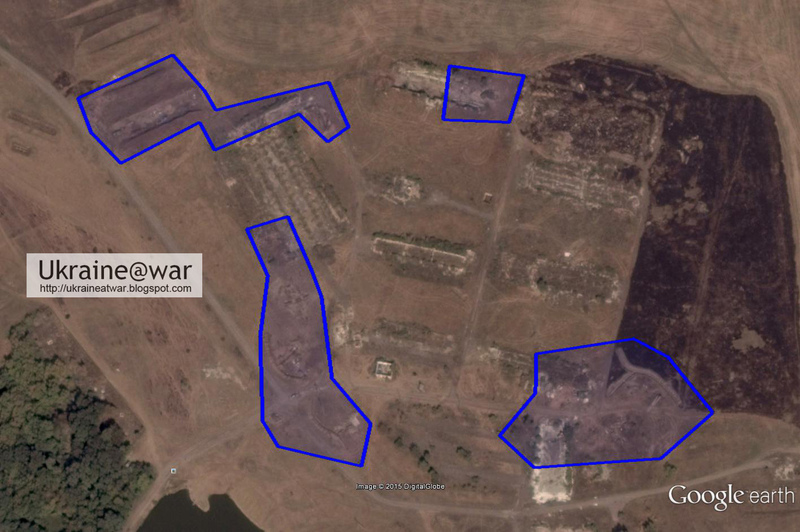 They captured those when Lugansk Airport fell. This also indicates Russians are in command an control of the operation. Notice the electricity poles along a road with trees on the horizon. There may be some Ukrainian wrecks too of course. 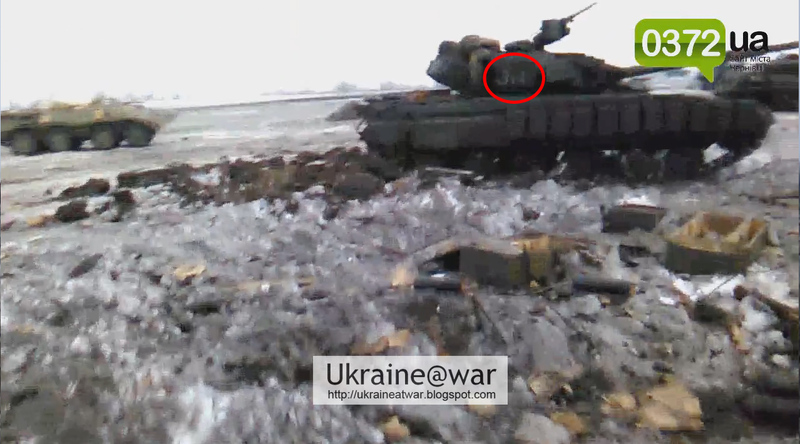 But the point is that is is still Ukrainian controlled and THUS the Russians have been repelled. This is an abandoned farm with ruins and would PERFECTLY match the dumping ground-like features we saw in the video. 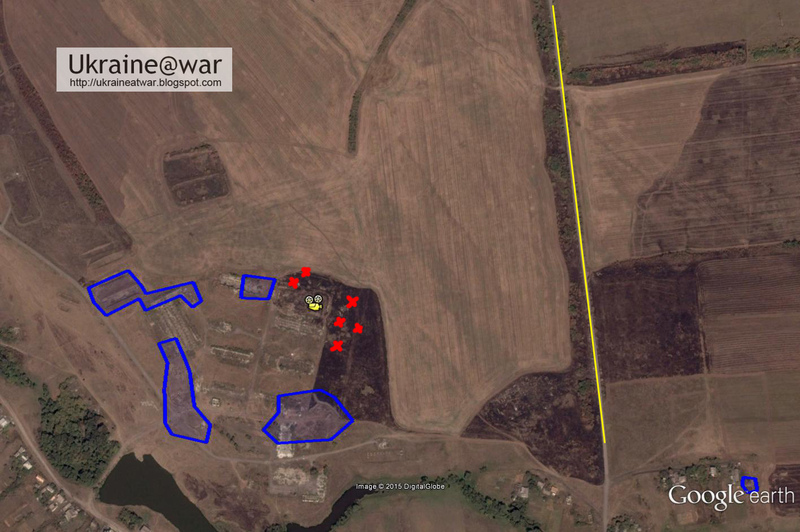 The tanks scattered around the Ukrainian position (red crosses). The yellow line is the road with trees and electricity poles. The houses are visible in the bottom. This makes perfectly sense. The maps on MilitaryCraps showed such attacks. But... they have come VERY close! So this will definitely not be the end of it. 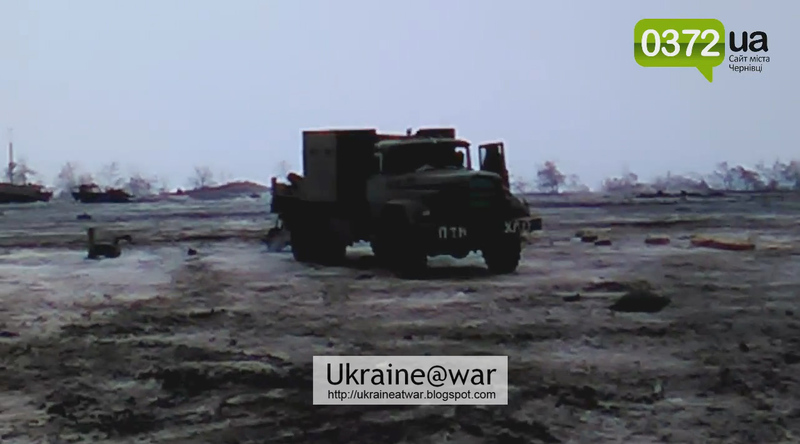 Why do you show Ukrainian army position? This position is well-known and for everybody to see in Google Earth. I do not reveal a secret. The Russians have visited this location and been repelled there, so they know where it is. Readers, please inform autor about this comment, there is some info that needs clarification. 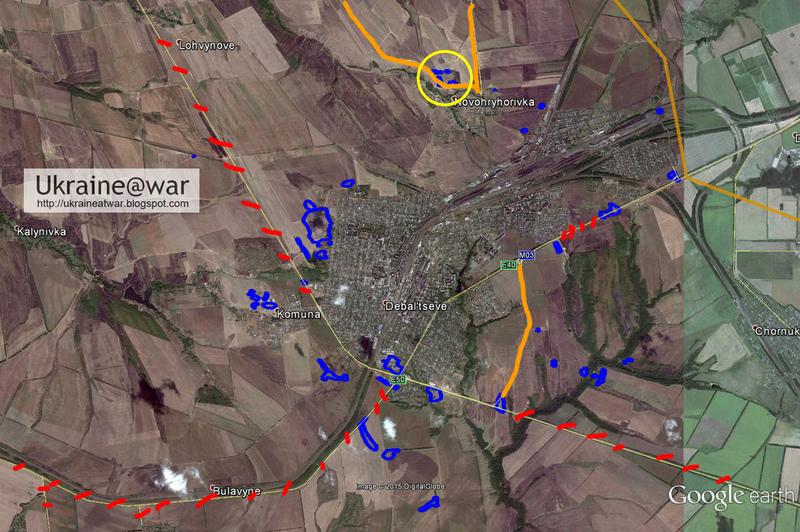 Among pro-russian forces there is opinion that those two videos of separatists tanks in this article are shot near village of Sanjarovka, north of Debaltseve. 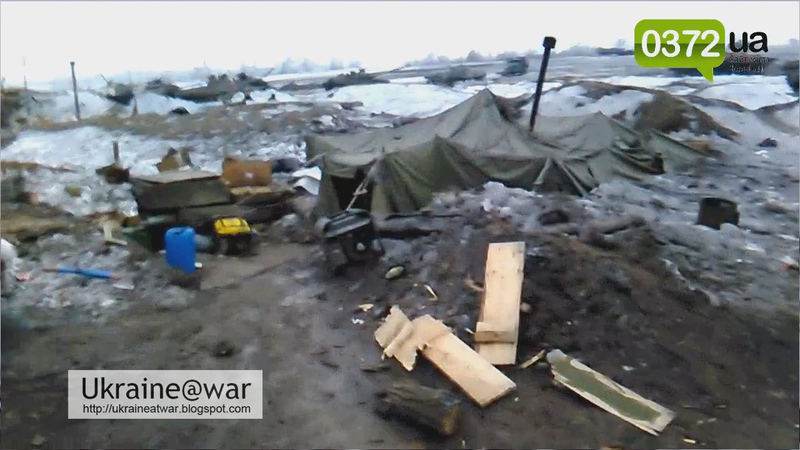 Probably those exact ukrainian positions where videos was shot are located there. The village is indeed where the attack STARTED. 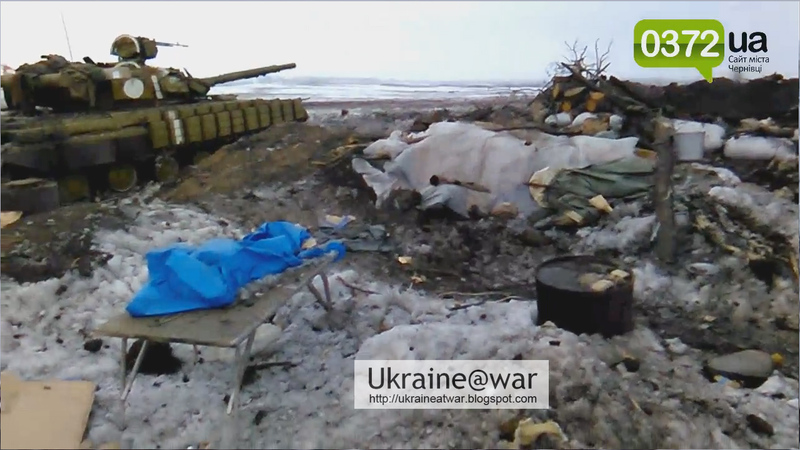 But I am very sure the ukrainian positions where the tanks ended were NOT at you indicated position. As I commented before the photo of the truck, there are (several) roofs visible. 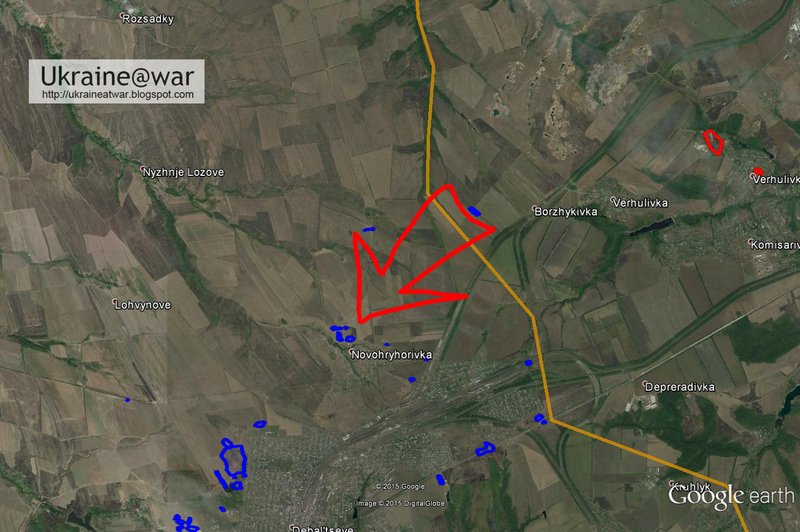 This means that location was very close to Debaltseve. Your indicated location does not have such houses closeby.